The winner of the AMA Superbike race at Laconia in 1979. Berliner sales rep George Vincinci (Sp?) (shown on the bike above) was owner and builder. The winning rider was Richard Schlachter. 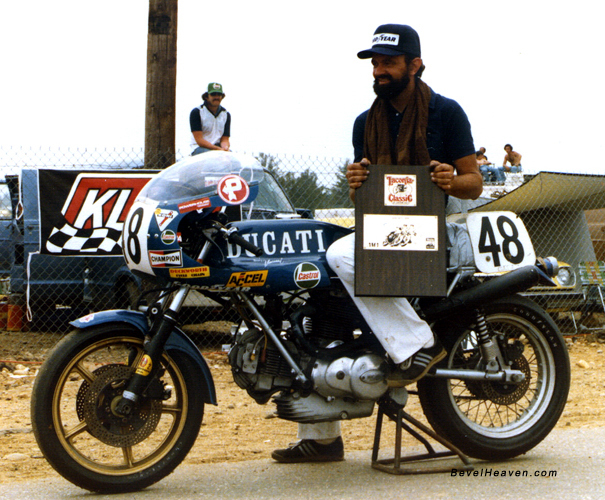 Paul Ritter believes this to be the last "Superbike" win in the series for DUCATI until the 851 four valve heads were introduced.